Your car’s electrical system is the heartbeat of your vehicle, and without proper maintenance, you may be left scratching your head. 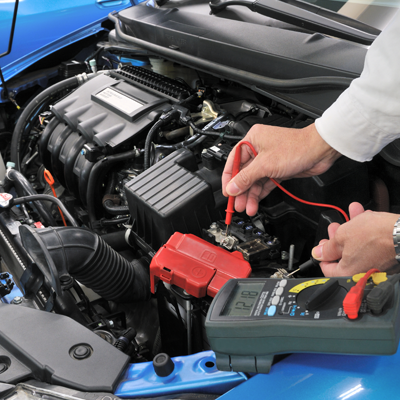 Three main components make up any car’s electrical systems which include, the battery, the alternator and the starter. To maintain the health of your car’s battery, it’s important to make sure the connections are clear of debris. Taking the time to unhook your battery and carefully wipe them clean can help you to prevent necessary wear on your car’s electrical system. Have you noticed your car’s lights dimming or flickering on and off? It may be time to have the electrical system of your vehicle checked out. Schedule an appointment with Noebull Automotive today to make sure you’re driving worry free this year.